You plan, you worry, you spend, and you invite everyone important to you. You are hoping for a great evening of family, friends, and fun. On a night like this, don't leave the music to chance. 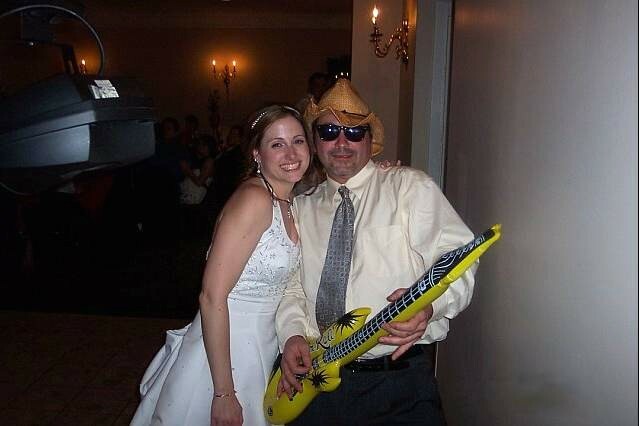 TNT DJs specializes in providing energetic entertainment for wedding receptions of all sizes. 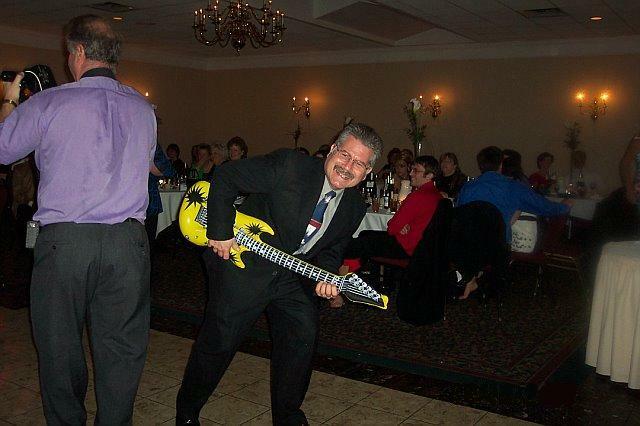 The owner, Tony Bush, has personally performed at over 400 wedding receptions in Southeast Michigan. His experience and friendly personality adds the fun and variety needed to make a reception truly memorable. Ask people what they remember most about a wedding reception and they will almost always judge it by how much fun they had. That is why a fun and professional DJ like Tony can help turn your "once in a lifetime" event into an evening that you and your guests will remember forever. Tony will coordinate with your hall and photographer to be sure everyone is aware and ready for everything that is to take place during the evening. This way the photographers are not surprised by anything, perhaps missing a great photo opportunity. This is one reason why TNT DJs is referred by dozens of photographers and banquet facilities throughout the area. It also gives you the peace of mind you need knowing that the little details are being handled by a real professional. You can relax and enjoy your party instead of concerning yourself with whether or not your cake is ready to be cut on time. 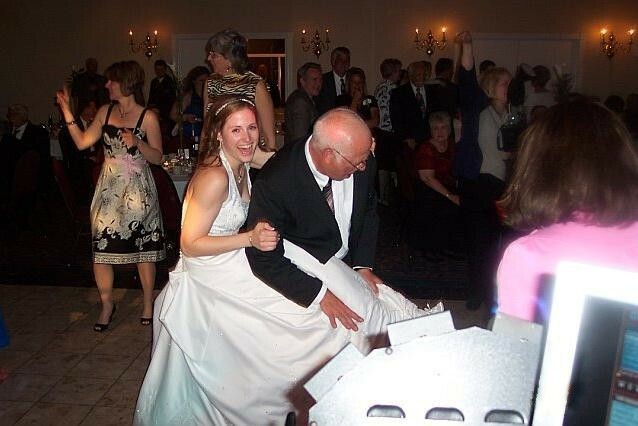 When it comes time for your bridal festivities, Tony conducts the bride & groom, father-daughter, mother-son, and bridal party dances with top-not professionalism. Each couple in your bridal party is introduced individually to the music that YOU have chosen and a round of applause greets each couple as they join you on the dance floor. If you should decide to continue the tradition, your guests will be singing and clapping along as the garter is removed and thrown. The whole garter routine is fun and humorous without being embarrassing or tacky. As the formalities conclude and the lights go down it's time to get the party hopping. With over 10,000 songs in digital format at his fingertips, Tony molds and shapes the party into a celebration of music and dancing. The light show adds a colorful backdrop to the festivities and the music variety assures that most everyone hears a type of music they enjoy. Tony welcomes your guests to come make requests and his energy and attitude are contagious. Group participation dances are always a fun way to break the ice and get a wide mix of age groups together on the floor. Tony loves to get everyone involved and will usually step out on the floor himself with his wireless microphone to provide encouragement and instruction. Whether it's showing a few extra steps to the Hustle or teaching his trademark "Stayin' Alive" dance, he knows exactly how to keep things interesting and exciting without crossing the line into cheesy or zany. As your night progresses, Tony uses everything available to him to keep the party moving. Slow dances are mixed in often and everyone from the Grandparents to the younger guests will hear something they enjoy. You will find that the guests are staying and having a great time and you will be happy you have chosen TNT DJs. As the evening concludes and Tony plays the final songs of the evening, all attention is directed again to the couple of honor. Great cheers of congratulations ring out as the newlyweds take the floor for one last dance. The guests join in and the music kicks up one more time as everybody remembers why they are there...to celebrate the union of two special people. What a better way to honor them then to finish the evening on the dance floor surrounded by good friends, close family, and great music. TNT DJs is simply THE premier disc jockey entertainment for a wedding reception. You can relax knowing that the owner himself will be your DJ for the evening and not some employee or trainee. Tony has talent, experience, and a love of the business and it definitely shows in every single performance. This is not just another night at work for him. He truly cares about each and every party and will do what it takes to make your wedding reception all you hoped it would be. The MUSIC MATTERS and a DJ like Tony can help make sure your guests stay and dance all night long. On your special day, that's priceless. Give us a call or send an e-mail today for more information or to book TNT DJs for your event.